Half Bottles of Wine – Great Source! Everyone needs a good resource for half bottles. Bob Shannon in Albuquerque sent this note along the other day. I could see for miles and miles at the top of the Purisima Mountain Vineyard, owned and farmed by Steve Beckman of Santa Barbara’s Beckman Vineyards. 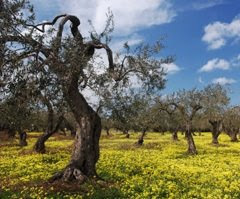 But the “truth,” according to Beckman, is not “out there,” but in the soil, the grapes, and in the resulting wine; no matter what you may think of the Biodynamic® practices they have been practicing full-on since 2006. The Beckmans (Steve the vigneron, with his parents Tom and Judy) purchased their 365 acre mountain estate in the mid-section (unofficially called Ballard Canyon) of Santa Ynez Valley in 1996, just a couple of years after establishing their winery on a 20 acre vineyard parcel just over the hill, a couple of hairpin turns away. 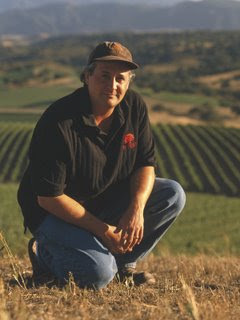 Vintages from the late ‘90s, produced from grapes from neighboring properties (like the prestigious Stolpman Vineyards) convinced the Beckmans that Syrah and Grenache – yielding ultra-deep and concentrated wines when grown in the shallow, sandy clay layered over mounds of calcareous rock, surfacing towards the tops of these hillsides — were the way to go with their own plantings. 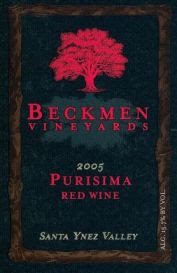 But above all, when comparing their Biodynamic® vs. conventionally grown wines, Beckman discovered “wines that I loved… wines that I thought expressed what the terroir of Purisima was about: rich, ripe wines that are balanced and elegant.” Thereafter, the decision was easy; and the Beckmans converted all 125 of their planted acres on Purisima to Biodynamic®. The Rhône inspired wines of Beckman Vineyards have always been top-notch; and with the recent return of Hawai`i born winemaker Mikael Sigouin (who also produces his own outstanding Rhône style blends under the Kaena label) after a brief hiatus with another winery, this brand is now truly rocking and rolling; as evidenced by a tasting of their top-of-the-line Grenache/Syrah (60%/40%) blend, the 2005 Beckman Santa Ynez Valley Purisima (about $75). Purisima is produced only once every two or three years, when vintage conditions are optimal; and I can see why the ’05 made the cut: it’s massive – a burly yet round, sleek, fleshy concentration of red berries and pomegranate, spiked with smoke and peppercorn; and despite a monumental structure of meat and tannin, the sweet sensation in the middle and finish is very much of dark chocolate covered strawberries, consumed with long, supple, black leather gloves. Capisci? Doesn’t take a culinary genius to know what food matches this kind of sick bruiser: grilled meats, especially strewn with cracked pepper and sweet/spicy seasonings or rubs. But don’t limit yourself. I like what William Lengeman III says in this intro to Grilling 101: summer grilling often conjures images of testosterone-addled men wrestling slabs of meat, but let’s consider another eminently grillable foodstuff… the vegetable. That’s pronounced VEJ-ti-bal, boys (“veggies” always sounded prissy to me); and when you apply marinades and foils, even pedestrian mushrooms and root vegetables can be hot. … or in the immortal words of The Who: this is no social crisis, this is you having fun. 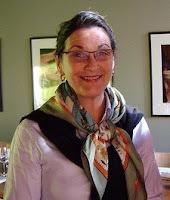 I spent more time with Julie Johnson at her CCOF certified Tres Sabores than any other single winemaker during a recent three week swing through the West Coast this past spring. Why? Admittedly, because I can drink her wines all day or night, everyday. Also, because everything she does, as a grower and winemaker, just seems to make sense. My vinous sensibility is simpático with Tres Sabores. Johnson farms a 32 year-old vineyard in the heart of the Napa Valley’s famed Rutherford AVA; originally planted to Zinfandel (making killer reds), but to which she added two acres of Cabernet Sauvignon (yielding no more than a couple hundred cases a year) after first acquiring the property in 1987. As a former partner at Frog’s Leap, her instincts were, and still are, organic, but for all the right reasons: this vineyard is also her home, her refuge, her sustenance, and an extension of herself – everything in its place, but in the opposite of a contrived, unnatural fashion. “The essence of sustainability,” she says, “is that no part of what you do is wholly separate from the other.” So, through Johnson’s windows, you see old, gnarly trunked vines, but also stands of walnut and 150 year old olive trees, zinnias and cosmos among the buckwheat and wild grasses between the rows, tangled blackberry patches around the edges, hummingbirds, bees, sheep, and furtive jackrabbits and noisy, wild guinea hens nesting or scrambling hither and yon. Then wherefore the amusing flora and fauna? From our perspective, it’s what comes out in the wine that counts. Indeed, the newly released 2006 Tres Sabores Rutherford Perspective (about $65) is not only an unmitigated masterpiece of a 100% Cabernet Sauvignon, it is tres Tres Sabores: powerful yet with a natural, organic sense of balance and buoyancy. The fruit expression: black purplish; dusty blackberry and dried plum aromas tinged with cedar and red rose/star anise-like spice; medium-full (not gigantic), dense, chocolaty rich on the palate, with a plush velvet feel rounding out wild, ferocious tannins. Cut off a few ounces of the gnocchi dough with the bench scraper and with lightly floured hands roll into a rope about 12″ long and 1/2″ around. Cut off into equal sized pieces about 1/2 square, pinching each piece at the same time. 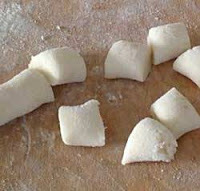 Roll each gnocchi off a floured gnocchi board (or the back of a fork), and using an offset spatula carefully transfer to a floured baking sheet.